A birthday without cakes is almost imaginable. While gifts and entertainments count in marriages, a well-baked birthday cake clinches the deal. As Stephens Sweet Sensation, Forth Worth, TX we bake amazingly unique custom birthday cakes. Why Stephens Sweet Sensation Birthday Cakes? • Beautiful designs depicting favorite TV character, sports, etc. 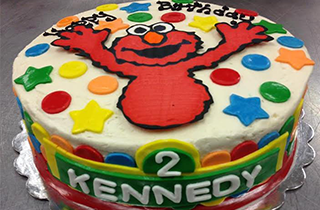 Let us help you handle the burden of a suitable theme, flavor, and color for your birthday cake while you take care of other preparations for your birthday. Make your birthday or that of your loved one a memorable one by contacting Stephens Sweet Sensation Fort Worth, TX.